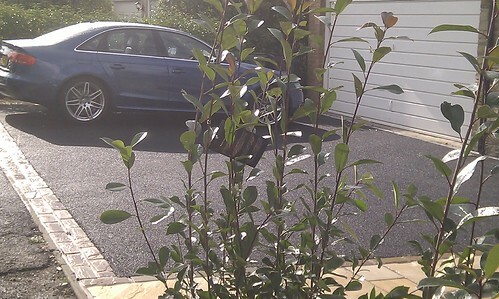 This driveway project in Alderley Edge was the result of our hard work on the rear garden. After working with the client on the new outdoor living area, we were invited to construct a new driveway at the front of the house. 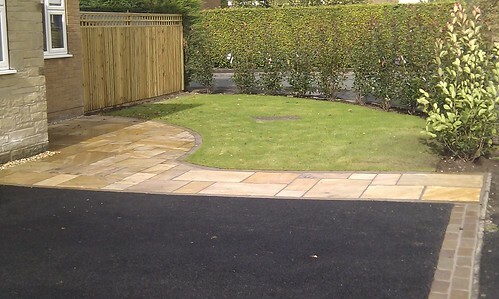 The client wanted to provide addtional parking space, with a new area of paving and feature lawn. 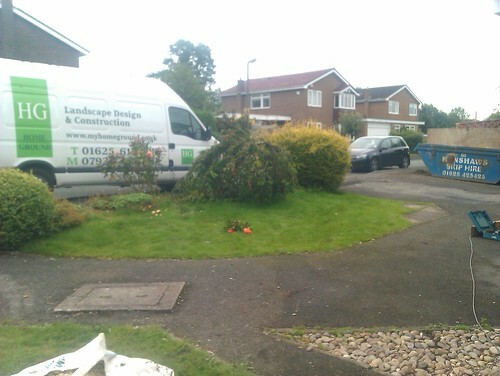 The old tarmac path and driveway were lifted by plant machinary and removed via skip hire. 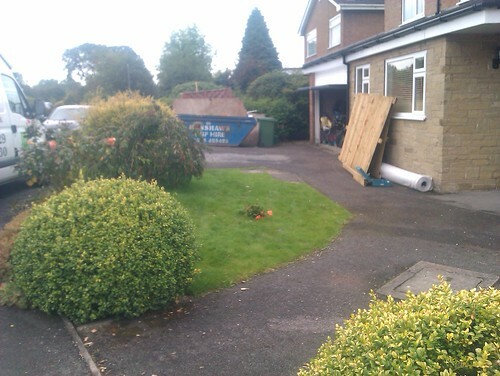 The new levels were set and ten tonnes of type one mot sub base material set and levlled to make way for the new tarmac driveway. A new acco channel drain was installed to carry the surface water away, and the drive neatly edge using indian sandstone cobbles. 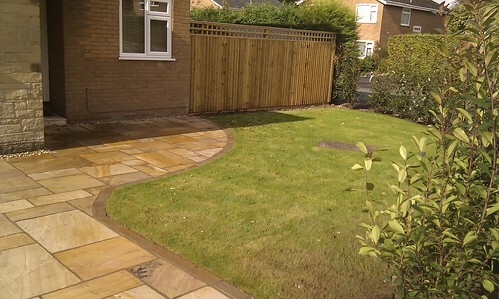 The new path and paving area was constructed using Fossil buff Indian Sandstone, this too was egded in cobbles to accentuate the curves of the paving area. 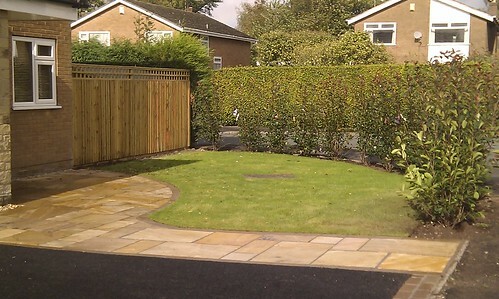 The lawn area was laid and edged using ever egde to keep the curved perimeter at its best all year round. To add some privacy and further colour, a new hedgerow of estbalished 6ft photina fraseri was planted, providing an eye cathcing display of dark green and crimson reds on arrival. 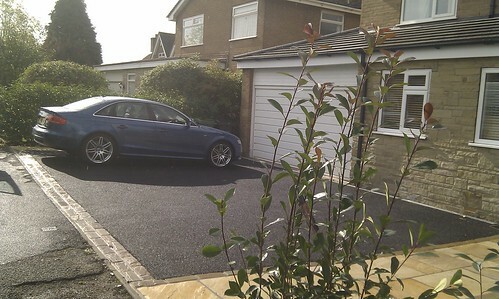 The driveway project was completed over the course of 14 days with a final build cost of £11000. 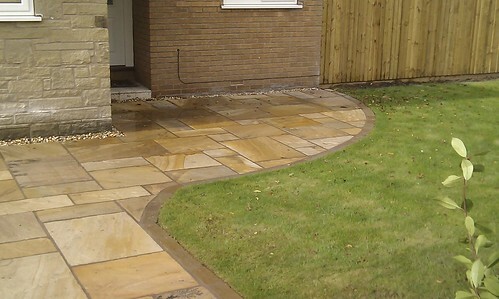 Driveways Alderley Edge. 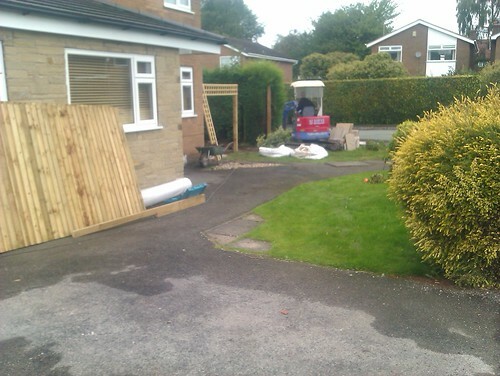 Alderley Edge Driveways. Drives Alderley Edge. 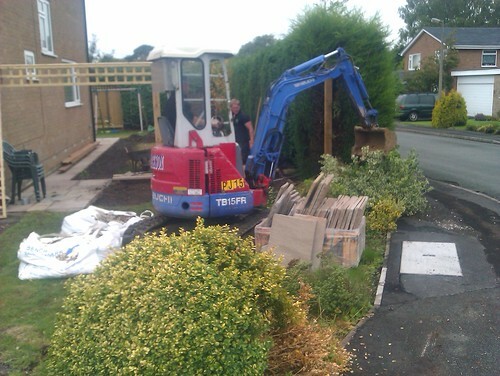 Driveway Construction Alderley Edge. 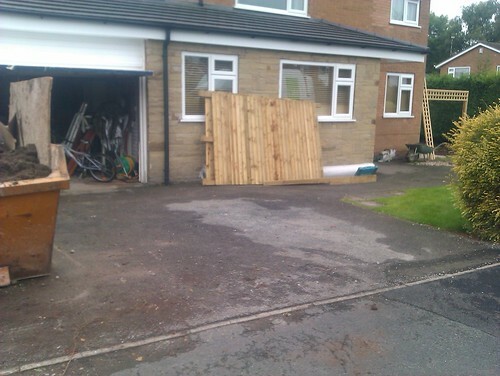 Driveways Macclesfield. 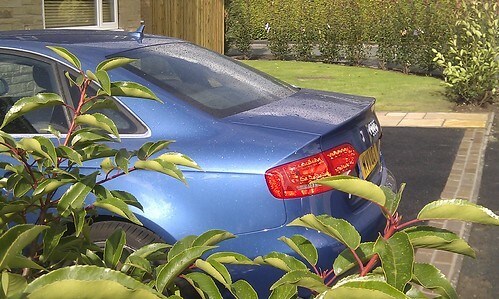 Macclesfield Driveways.